I feel like I’ve just scheduled so-so reviews for the past two weeks, but finally here is one I really enjoyed. Of course, I’m a fan of this series in general so it wasn’t a big surprise that the Grimaldis were entertaining. Nicole Huntington Grimaldi has spent ten contented years in France without her husband—and without regret. When Mark asks her to return to London and play the part of his beloved wife, she sees her chance. But neither of them is prepared for news that will throw Mark's future into chaos...nor the undeniable desire they've rekindled. 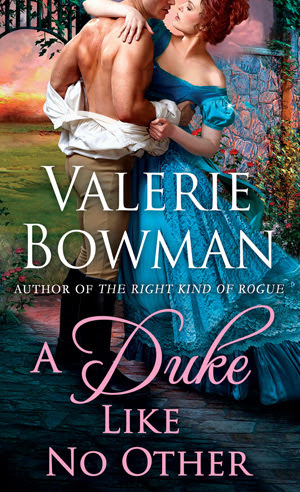 Maybe happily-ever-after can happen the second time around in A Duke Like No Other, the next Regency romance from Valerie Bowman. What’s it About? Mark Grimaldi and Nichole Huntington married in a flurry of youthful exuberance, passion and young love. But when their love and trust in each other was put to the test, they both failed and their marriage crumbled. Over the course of ten years they have each pursued their own interests and lived as far apart from one another as possible. Mark is now a General in the military and is looking towards being promoted to Home Secretary but there’s only one problem: The position requires that he be married. Luckily he already has one. He just needs to convince her to return to London and play the part of a devoted wife. Easier said than done because Nicole has become even more outspoken, more stubborn and more beautiful since the last time he saw her. What could possibly go wrong with his plans right? Well, quite a lot. Overall reaction to the story? 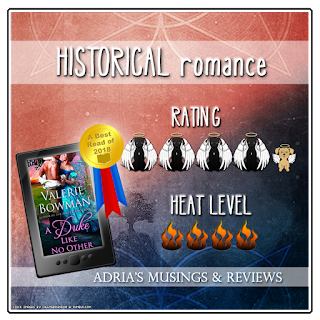 Second chance romances between two characters who are already married but don’t like each other very much can be tricky. The reason for their estrangement has to be convincing, as does their initial thoughts about the other. A Duke Like No Other really does accomplish that as well as building the road towards a believable reconciliation. I loved how the author created a way for readers to see Mark and Nicole back in the early days of their marriage without resorting to numerous, boring flashbacks. The book was more focused on the present and how these two characters had changed in ten years. Mark was a bit of a mystery from the beginning, even when he was dominating a scene, I didn’t really feel like I got to know him. He was so closed off and secretive, which I understood given his government work but I wanted to know what moved him besides his career. It wasn’t until about 50% in that he started letting his guard down, at least around Nicole. Mark was a man in love but battling a misconceived feeling of betrayal and anger. I liked his sense of duty but I do think it blinded him to what was really important. I mean, he was known as “the stone man” to some people so what does that say about him? Still, he was a good character, if a little emotionally closed off for most of the book. I enjoyed watching him realize that he never stopped loving Nicole and that he wanted her back. When he was with her he wasn’t the stone man, he was vulnerable and seemed a lot younger than he was. That was a side of him that I liked the most, the one that wasn’t so confident that his wife still cared about him or that he could convince her to give their marriage another chance. Because he was still desperately in love with Nicole but you know how it is with male pride right? Nicole was a little easier to get to know. She is motivated by her own desire to be an investigator and she’s pretty good at it too. Over the ten years away from Mark she’s managed to carve a little bit of an investigative career for herself. Yay her. I loved her spirit and her ability to look her estranged husband in the eye when she confronts him. She isn’t insipid or useless, she’s the opposite. She’s also in denial about the small part of her that still loves Mark, so stubborn. She’s a perfect match for someone like Mark who could easily steamroller over a lesser woman. She wasn’t shy about her sexuality either. She was a woman that had been married for ten years and in the early days she and Mark couldn’t keep their hands off of each other. I LOVED that Valerie Bowman showed that growth in her character and that Nicole didn’t act like a born again virgin. She was confident and eager to tell Mark what she wanted in bed. 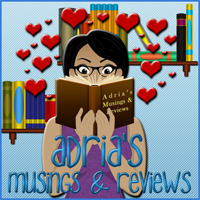 A sexually confident woman is an interesting one, especially in historical romance. It’s very easy to see why these two characters fell in love and married so quickly, they complement each other even as they clash with their strong personalities and pride. As a couple their chemistry is explosive, just like in almost every other aspect of their relationship. They love fiercely and fight fiercely but they also make one heck of a team. 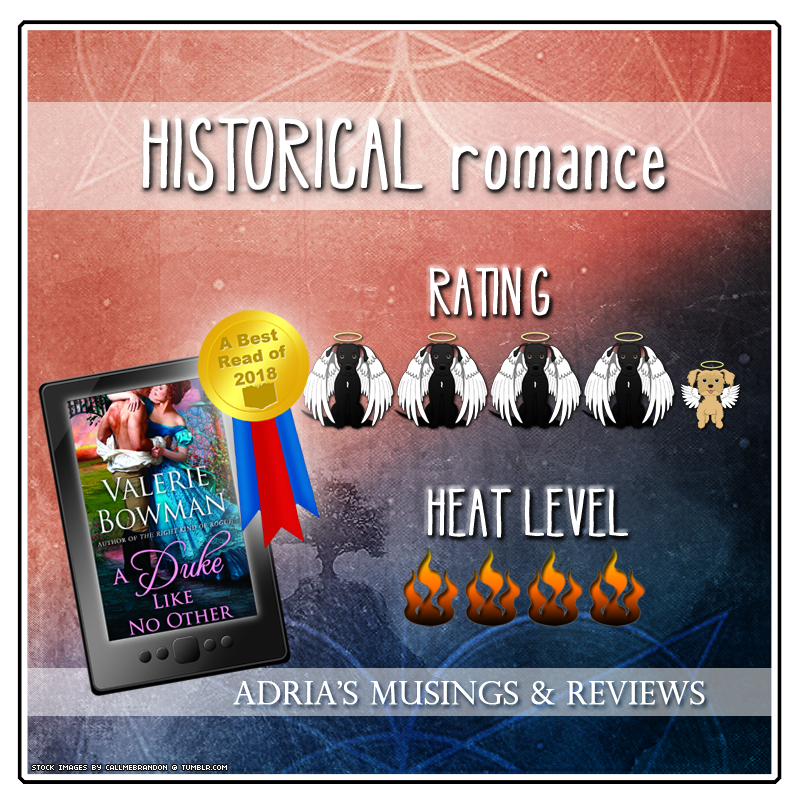 Bowman created an almost perfect rhythm between them that made me fall in love with their second chance romance. I felt that Nicole could easily keep up with Mark as a partner and as a wife. I had so much fun with these two and I won’t lie, it had to do a lot with how Nicole was as a character. Click It or Skip It? Click It. 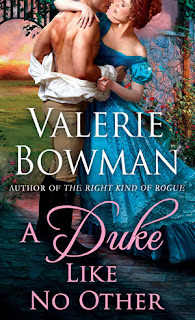 The whole series is a delight but A Duke Like No Other is one of the stand out ones in the series.